I'm running Esl but as standard doesn't read / log actual Afr readings just shows target Afr in log files. can I get the Esl log files yo now record via the comms lead to the innovate to record actual vs target Afr ? If not any software I can use to record actual Afr at given rpm ? nope, can't do that. ESL thought about it at the time but decided it was better to log the raw 5v signal from the wideband and then let you convert it later. Standard way to do it is take the 5v out from your wideband, stick it on the ECU's narrowband input temporarily (and activate closed loop disable). Then in your log file viewer convert the 5v reading into AFR/lambda of your choice. You can actually set it as a conversion filter in ECUedit which is quite handy as then just opening the log it will automatically show you AFR straight off the bat. i dont have closed loop diable so im assuming id just disconnect the narrowband plug fom the wiring harness ? but then ive read 02`s dont like being cold with hot exhaust gases flowing over them ??? 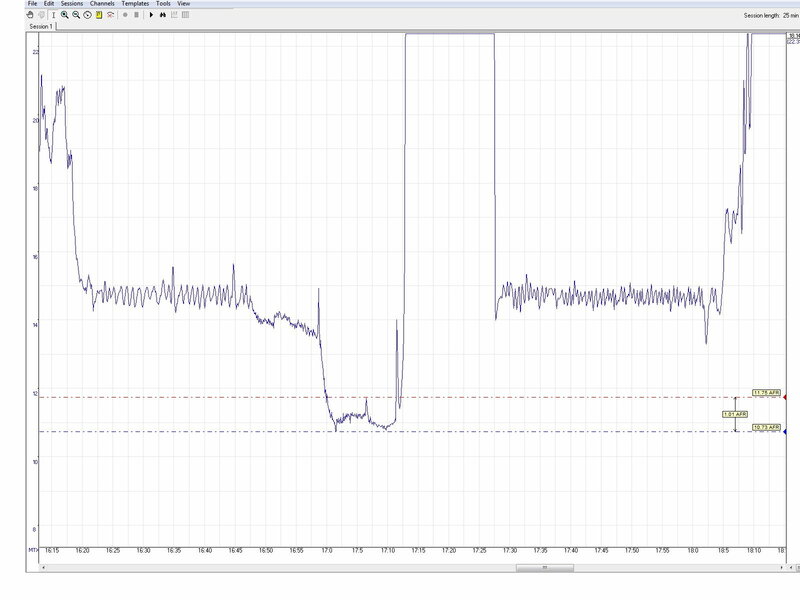 im just trying to pinpoint at WOT an exact point im going lean breifly, i ran a log file with the innovate and it shows a nice AFR at wot from between 11 and 11.2 then you see it spike to 11.7 then back down again ( as discussed previosuly ) so im trying to see which fuel cell i need to richen up . ive changed some have worked but still 1 or 2 to do i think. would b nice to match the rev range in the innovate software ( not an option ) to the rev range in the esl log. 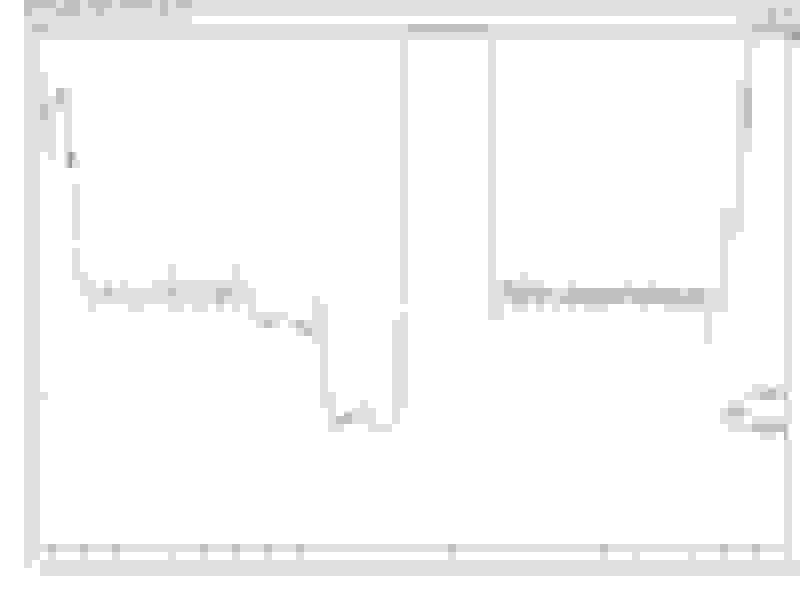 i suppose i could run both logs at the same time and see if the time duration tallies up and check that way. in that case you should remove the stock o2, put the wideband in it's place behind the turbo and do your datalogging - then return the original sensor for regular driving remember to keep an eye on the fuel trims after the o2 comes back on and you've driven some miles as it will give you a tiny bit of a heads up on any intake leaks. Hey bud, ok sounds like a plan, shame i couldnt leave the wideband hooked up all the time, to power my gsauge and to log via ESL ( but im guessing it cant alter fuelling like the narrowband can. i think another option is EvoScan Software? If the Defnition-File for the ECU is the right one (you can edit it too in EvoScan), i think its the easiest way? the wideband will come with a narrowband output as well, if your handy with wiring you can put a switch in that will switch the input to the ECU from the wideband to the narrowband feed, that will allow it to stay in place all the time and give the ECU the info it needs. Switch it over when you want to log AFR properly. Ideally you want someone else driving the car, your on the laptop with the ESL software open and logging. Do 1 run with wideband logging and then look at the log file as well as the live trace on the screen. The log will show you the AFR/engineload/engine speed and the live trace will confirm which cells your actually hitting so it doesn't take long to sort it out if you can be focused on the task at hand. Does evoscan work with Esl too? only as much as it works with a standard car, which is slowly and not anywhere nearly as useful as the ESL logging data. yes works, and how bludgod said,not very fast. but it works. you have to log only the parameters you need, when you log all, its VERY slow.